I don’t have a lot to share with you this month since my to-read list is longer than my just-read list! Ha. Spindle’s End by Robin Mckinley – On her name-day, Princess Briar-Rose is cursed by Pernicia to one day prick her finger on the spindle of a spinning wheel and fall into a never-ending sleep. But Katriona, a young fairy, kidnaps her in order to save her from her fate. She takes the princess to her small village and there, her aunt and her raise Briar-Rose where no one knows her true identity. But Pernicia won’t easily give up the chance to exact revenge for a defeat over four hundred years old. ~I first read this in 2015 and have to say that I enjoyed it even more this second time. The world-detail that bothered me last time didn’t even phase me. I’m not sure if that’s because I’ve been reading more fantasy since then or just because..well, I’ve already read it. Perhaps a little of both, eh? Either way, this book has shot to the top ten of my favorite ‘fantasy’ books – right under Mckinley’s Beauty and Sanderson’s Elantris and Mistborn. The English Garden Series – The Visitor and The Pursuit by Lori Wick – Set in the early 1800s in England, this series has a delightful ‘Austen’ feel that I love. ~click here to see my separate, full review. The Power of a Praying Wife by Stormie OMartian – Worrying about your marriage isn’t going to do anything, but praying about it can change everything! This book is set up in a prayer-a-day format with stories from real-life and verses that go with the topic. Some of the topics are: his spiritual walk, his health, his roles as father/leader/etc, his emotions. ~ I knew I needed to get back into the habit of praying for my OH (and our marriage) so I pulled this off the shelf again and am glad that I did. I have marked the prayers that I felt were especially relevant for him and us and have plans to go back over them regularly. I reviewed this here a few years ago as well. This morning I woke up groggily and unwillingly but with one thought “I haven’t been praying for him every morning like I set out to!” And then, I remembered a book that I had spotted the other day on my bookshelf called “The Power of a Praying Wife” by Stormie Omartian. I believe there is a whole series of “the power of…” books but this is the only one I have read. I picked it up when we were still engaged, wanting something to help/encourage me in praying for my then-fiance’. After scouring the racks at the christian bookstore, this is what I found. I like the format of a bit of a personal story from the author, encouragement, the prayer which is then followed by some verses. I feel like there is a bit too much ‘christian-ese’ in it, but being a christian prayer book…. shrug. I went through the book during our year of engagement and had pretty much forgotten about it since. But with this months’ goal it will be a great help and reminder! I opened up to the 11th prayer (there being 30 prayers in total I thought I’d follow it in the prayer-a-day fashion) and lo and behold. The chapter is on Health. Quite appropriate – for both of us actually- right now. benefits: who forgives all your iniquities, who heals all your diseases. They cried out to the Lord in their trouble, and He saved them out of their distresses. surely I will heal you. I will heal them and reveal to them the abundance of peace and truth. I feel like so often we think of prayer as the ‘last option’ or the ‘least we can do’ but that is completely untrue. It is the first and best option in any situation and the most we can do for ourselves and others. If you do not already regularly pray for your husband ( and if fitting – your children), I encourage you to begin! Praying for our spouse is another way to show our love and care of them. Praying together is also a wonderful way for the two of you to grow closer to each other and the Lord. If that is not something that you see as possible right now, pray for him and throw in that you would love to see prayer times happen! The Lord moves in mighty ways. I want to become a woman of prayer, with praises and supplications on my lips. 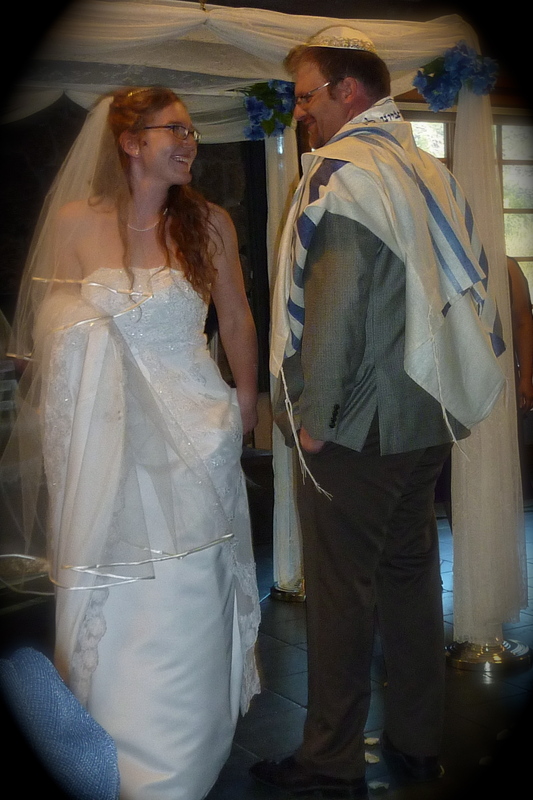 Our wedding ceremony was full of our love for our Messiah, prayers and praises throughout. God bless – and go love on your spouse!